Malaysia Airlines eyes A350 but wants first deliveries in 2017. Malaysia Airlines could decide between the Airbus A350 and Boeing 787 as its future of its long-range fleet as early as March/2015 for delivery in 2017 as a first step in a sweeping restructuring of the airline. The Malaysian flag-carrier is preparing to be nationalised under full control of state-run Khazanah Nasional by year’s end and choosing a fuel-efficient replacement for its ageing Boeing 777 fleet is now a high priority for the airline. “We definitely see an urgent need to have a long-term fleet plan for MAS” said Mr PK Lee, Regional Senior Vice President of Malaysia Airlines. “Once we establish a new business model consistent with our aspirations as a premium airline, we need to align this to our fleet plan” Lee told Australian Business Traveller in Kuala Lumpur. Lee said that while replacing the Boeing 777s had previously been discussed, “the total revamp of the organisation is an opportunity for MAS to seriously look at the fleet type”, adding that the issue was “definitely more important” in light of the pending nationalisation. Lee said that despite Malaysia Airlines’ financial woes – the airline airline has racked up debts of $1.5 billion since 2011 – bulking up the fleet with factory-fresh aircraft would not be beyond the airline once its nationalisations is complete. “Definitely we will have the money to buy them” Lee says. “As the national carrier we have 100% support from the Government”. 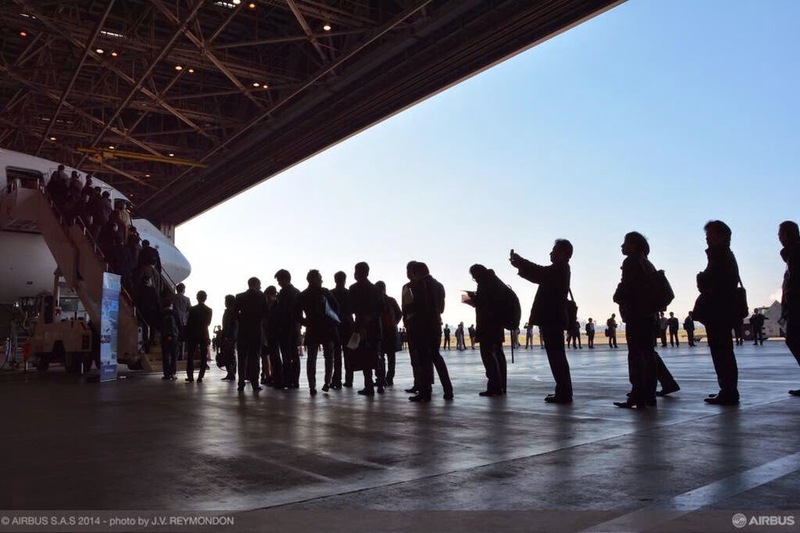 The A350 XWB took centre stage in the fast-growing Asian market during its successful 11-day demonstration tour, which was performed ahead of the first customer delivery, planned for coming weeks. 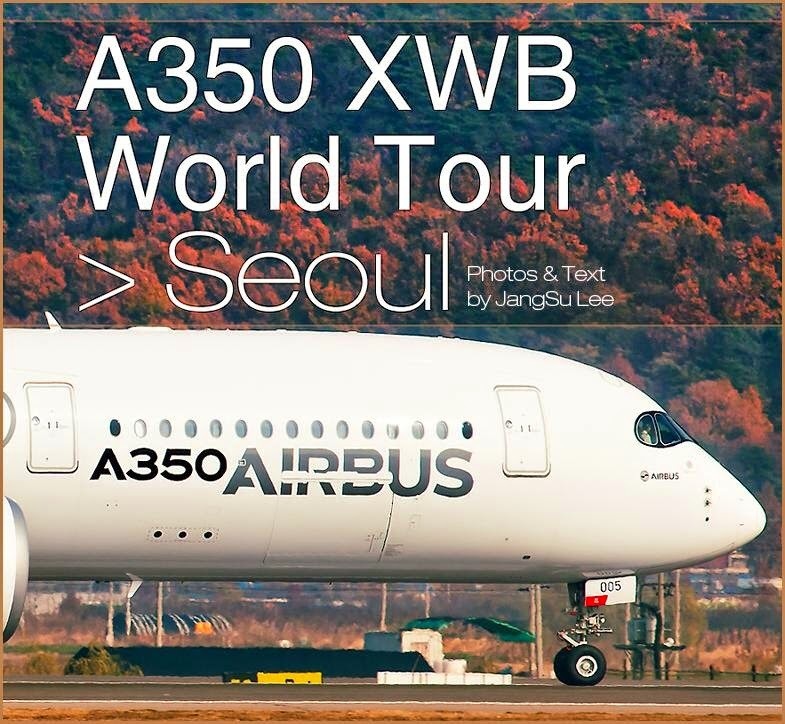 Using its MSN005 A350-900 developmental aircraft, Airbus debuted the A350 XWB in 5 new Asian destinations: Seoul, Tokyo, Hanoi, Bangkok and Kuala Lumpur, before returning back in Toulouse on Black-Friday. Throughout this trip, Airbus underscored the highly-efficient widebody jetliner’s superior operating economics and high levels of passenger comfort, which was highlighted during the visits of key customers, invited airline guests, industry officials, journalists and bloggers. 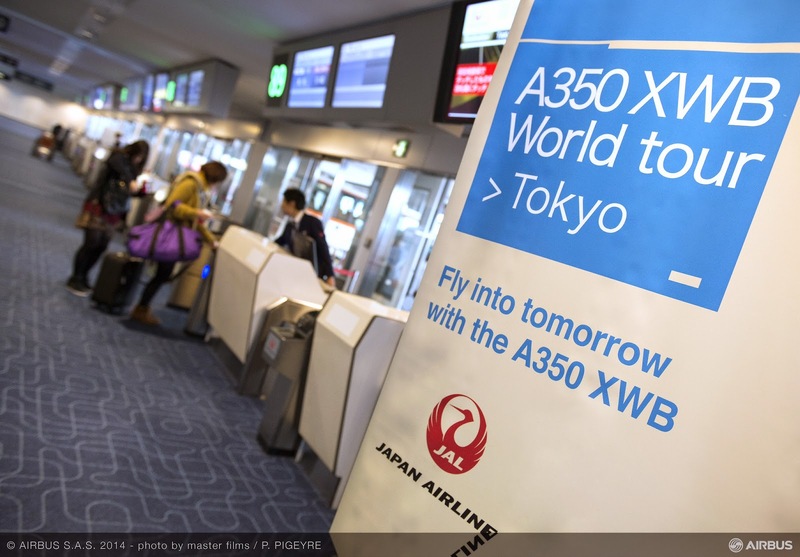 More than 4.000 people came aboard the aircraft during its Asian stopovers, with 375 of them given the A350 XWB experience during demonstration flights. Visitors to MSN005 were able to experience first-hand the A350 XWB’s “xtra” wide cabin, which provides more personal space in all classes, the latest in-flight entertainment and connectivity systems, wide panoramic windows, large overhead stowage compartments and precise temperature control. UTC Aerospace Systems has been selected by China Airlines to supply the wheels and carbon brakes for its fleet of 14 Airbus A350-900 aircraft. The company will provide the equipment through its Landing Systems facility in Troy, Ohio. 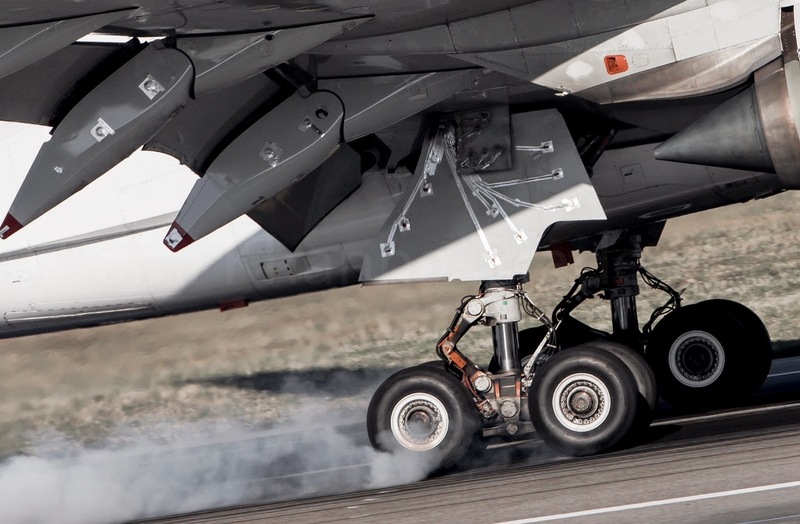 The A350-900 carbon brakes use proprietary DURACARB® carbon heat sink material whichprovides exceptional brake performance and a 35% brake life advantage over competitive products, producing significant cost savings for operators. 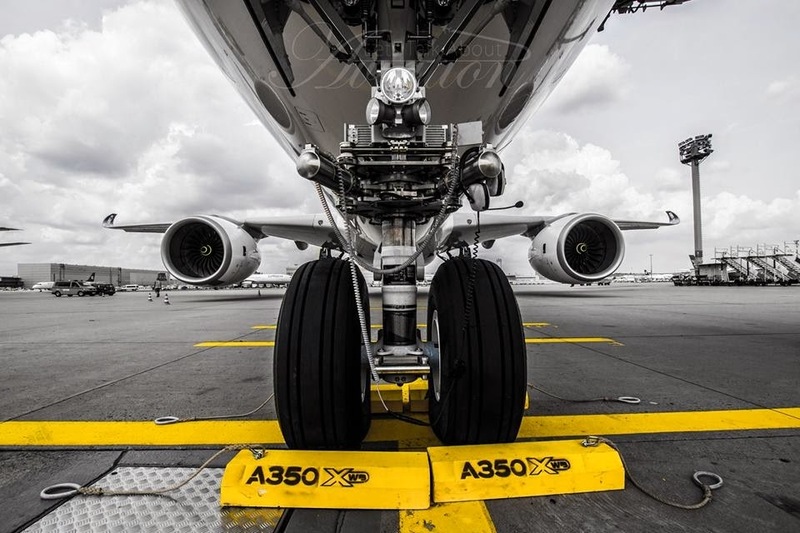 "China Airlines' selection of our A350 wheels and brakes demonstrates their confidence in our product innovation and adds to the portfolio of equipment we already provide to this key customer," said Jim Wharton, Senior Vice President, Landing Systems for UTC Aerospace Systems. 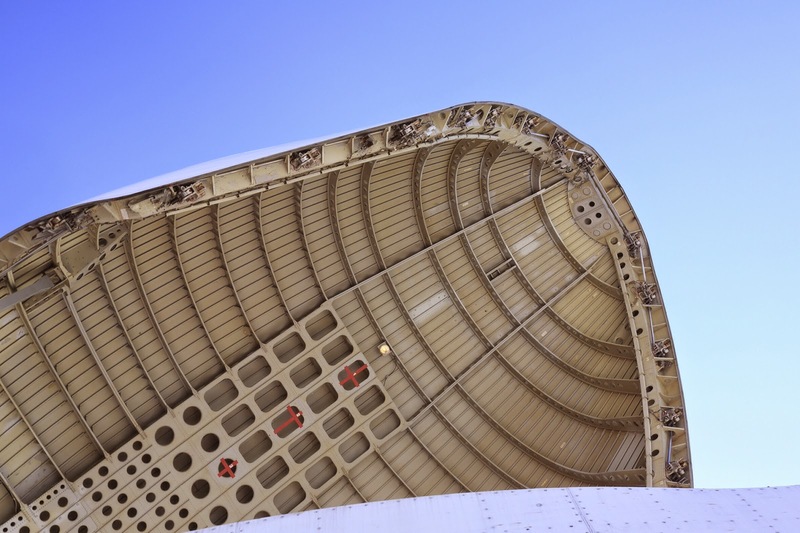 "During our long-term relationship UTC Aerospace Systems has provided industry-leading products and customer support. 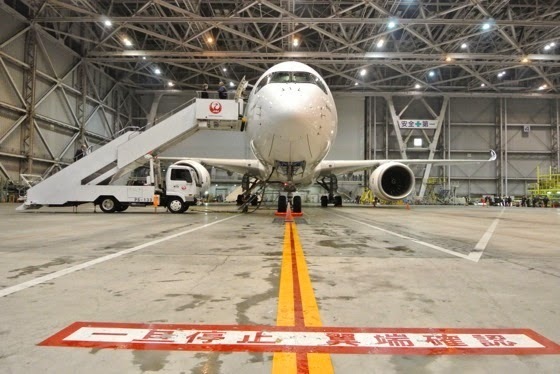 We are counting on their superior brake life and reduced maintenance costs for our new A350 fleet," said Joseph Chou, General Manager, Supplies Department, China Airlines. Reason behind Delta-decision to order A350. 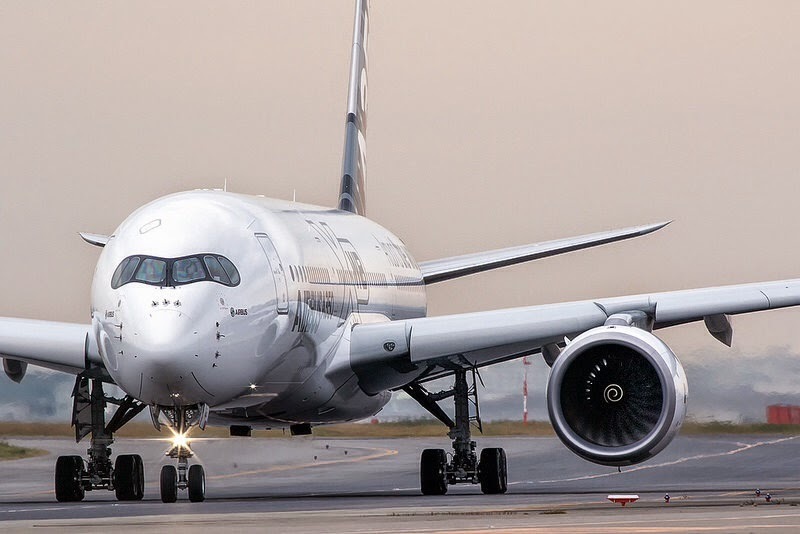 AirwaysNews has conducted an economic analysis of the 787-9, A350-900 and 777-200LRs trying to analyze the reasons behind Deltas decision to order A350s and A330neos instead of 787. The route used for the comparison has been a representative one: Seattle-Shanghai Pudong, from Delta’s trans-Pacific network. The distance for the route is 4.972 nautical miles, and operating cost calculations were made based on a variable fuel cost scenarios (jet fuel at $3.50, $3.00, and $2.50 per gallon). The A350-900 and 787-9 are assumed to sport identical 46% discounts with a 60% discount for the 777-200LR (as Boeing attempts to fill its production gap). A 12-year depreciation schedule is used. Both aircraft are close enough in terms of operating cost that non-operating factors (commonality with the A330-900neo, availability, etc.) won the day for the A350-900. 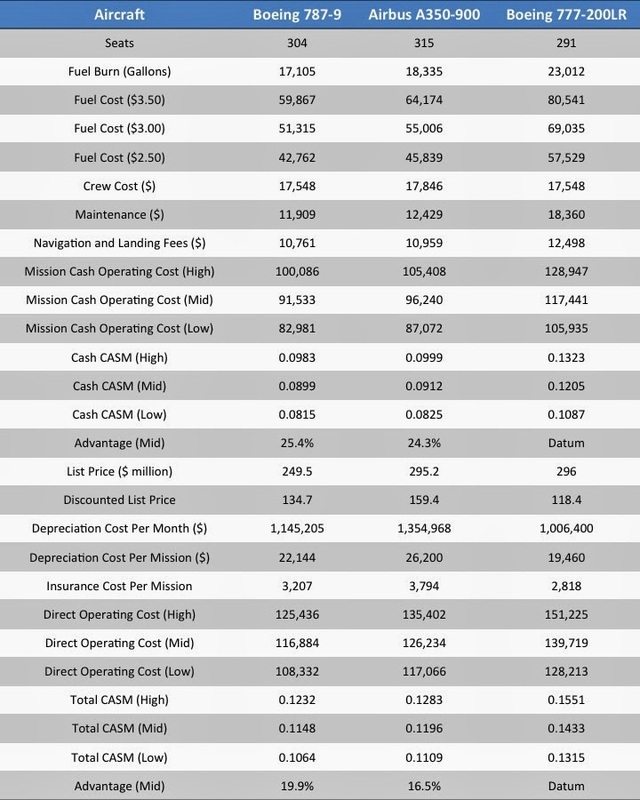 Furthermore, the analysis clearly illustrates why Delta rejected the stopgap 777-200LRs; a 16-20% operating cost disadvantage inclusive of capital costs is too large to stomach in a low margin hub like present day Seattle. As the operating economics are close enough to each other, “availability carried the day”; delivery slots offered to Delta in the 2016-2018 timeframe by Airbus (combined delivery slots for the A330-900neo and A350-900) have made the difference. Kuwait Airways orders 10 777-300ERs because there isn´t any white-tail A350 available for 2016. Kuwait Airways has confirmed it is buying 10 Boeing 777-300ERs. The preliminary agreement means the state-owned flag carrier (with a nearly all-Airbus fleet) is greatly expanding its ties with Boeing. “We appreciate the start of a new partnership with Kuwait Airways,” said Marty Bentrott, Boeing’s vice-president of sales for Middle East, Russia and Central Asia. This long awaited decision has a key lever; deliveries will begin in two years, in November/2016. 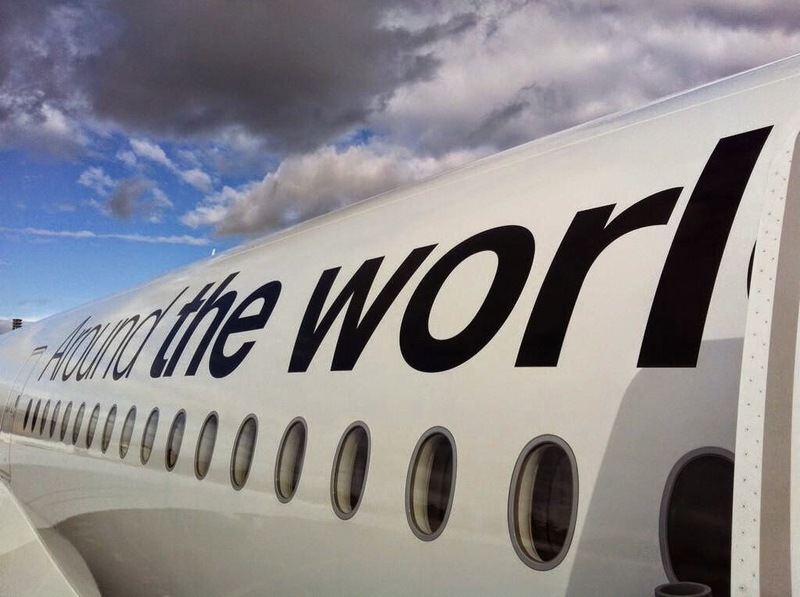 And there are no A350s available for 2016. Airbus has preferred to secure the order of 25 A350s from Delta (deliveries beginning in 2017) than selling 10 aircraft more to Kuwait Airways that has already 10 A350 (deliveries beginning in 2019). The offer was accepted after securing all necessary official approvals and the contract will be signed soon, chairwoman Rasha al-Rumi said. 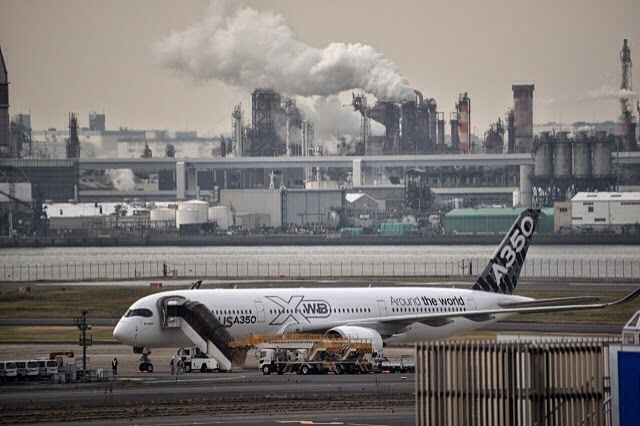 In February, loss-making KAC signed contracts with Airbus to buy 25 planes in the first order for new aircraft in more than 20 years; 15 A320neo and 10 A350-900s, with an option to buy 5 more of each. Under a second contract, KAC will lease 7 A320s and 5 A330s, with delivery due to start next month. 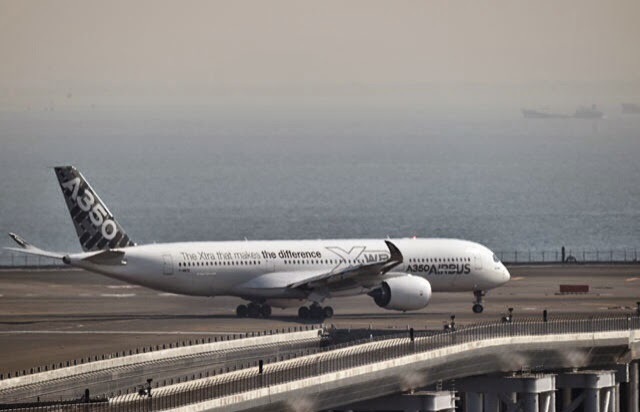 The airline, which is slated for eventual privatization, has an ageing fleet of 12 Airbuses (5 A300-600Rs, 3 A310-300s and 4 A340-300s) and 3 Boeings (2 777-200ERs and one 747-400 Combi). It has posted losses in all but one of the past 21 years, amounting to a total of more than $2.7 billion, which has been covered by the government. 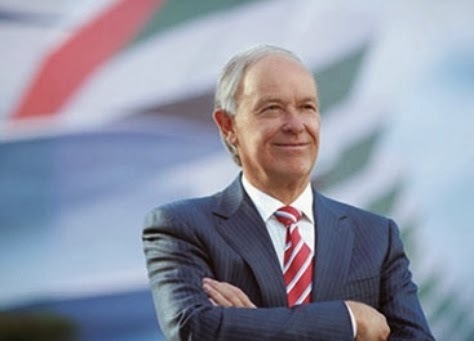 "We will look at the A350 again” said Emirates president. Emirates hopes to talk to Airbus in the next few months over possibly buying A350 planes after it unexpectedly cancelled an order for 70 in June, said the airline's president Tim Clark. The cancellation of the wide-body planes was a blow for Airbus and Clark acknowledged he was not "flavour of the month" with the plane maker. He said Emirates had cancelled the order after Airbus changed the plane's specifications but it would look closely at how the aircraft - which should enter service this year with Qatar Airways - performs once it starts flying. "I've said the company will look at the A350 again. It will be done when we can align a contract to the performance of the aircraft," Clark said. Clark said Emirates would need new widebody planes from 2019, although it could also keep older planes in service for longer. He added by that time the A350 would be in competition with Boeing's 787-10 jet, which is due to enter service in 2018. Based on the article “Emirates hopes for talks with Airbus on A350 in next few months” published in Reuters. 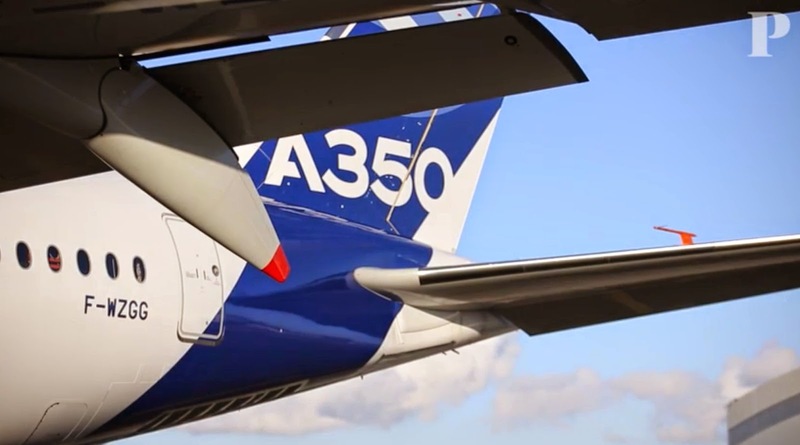 Rusia and China keep on working on the A350 competitor. In the Zhuhai China-airshow held in the second week of November the Chinese aircraft manufacturer Comac and Russian UAC unveiled to an audience of 150 suppliers some general view of a future long-haul wide body aircraft significantly more ambitious than expected. 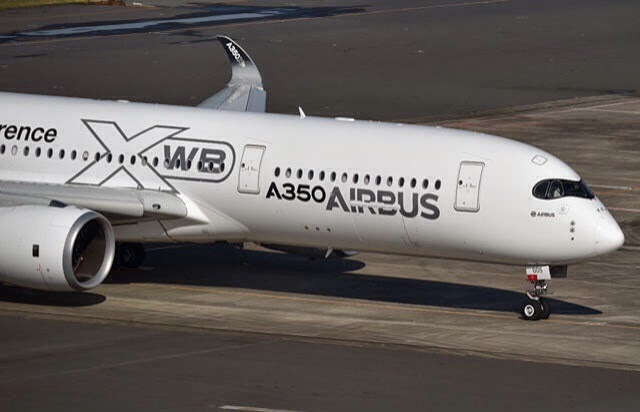 While Western specialists evoked a similar to A330 project, China and Russia target the new aircraft as A350 competitor. The target would be an entry in service as early as 2023, which would mean a first flight in 2021. No public information was unveiled at this stage as the program is even not officially launched. 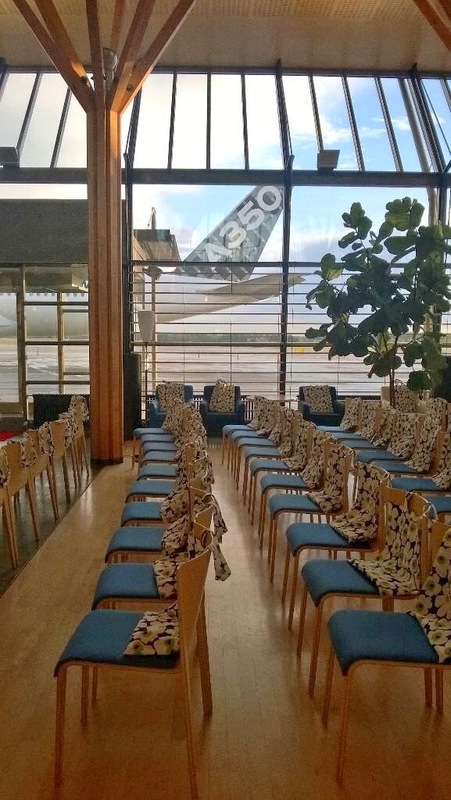 But according to information known from participants at the presentation, the future SRLRWB (Sino-Russian Long Range Wide-Body) would be available in 3 versions, from 250 to 350 seats, with a first baseline with more than 300 seats, with a 50% composite components, including the wing. Very similar to A350 program. 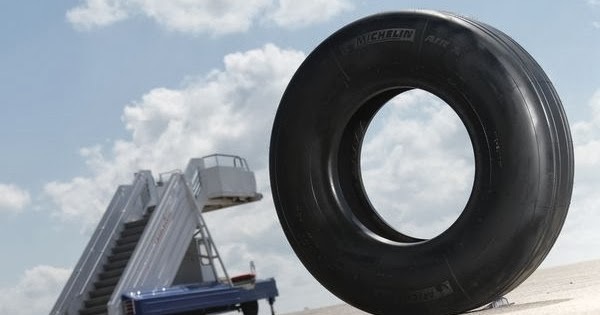 The development “plateau” will be at Moscow and the corporate headquarters will be based in China, as the joint venture between Russian UAC and Chinese COMAC will be 50-50. It is planned to manufacture the wings in Russia and the future Final Assembly Line (FAL) would be close to Shanghai leaded by COMAC. However, the future program should have a large participation of Western equipment manufacturers; starting with the engines -which will be probably selected between the American GE and the British Rolls-Royce-, avionics, distribution and electricity generation, electronics and computing. According to the indications provided in the presentation, a Call for Applications procedure should be launched in 1Q/2015 and the first "request for information" one year later. According to market forecasts announced, UAC and Comac would build on a potential market of less than 1000 aircraft. Which suggests that the 2 groups would be limited to the needs of their 2 national markets and at least initially avoid competing with the A350 and future 777 X on international markets. 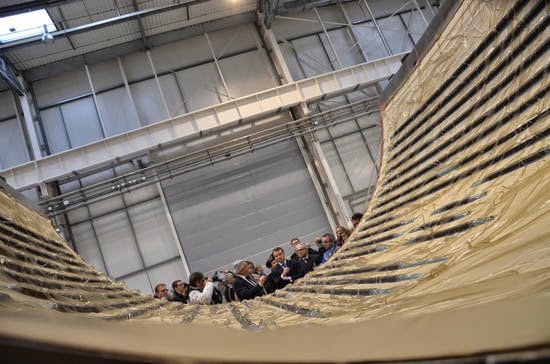 To industrially accompany the A350 XWB ramp-up and A320 production rate increases, Airbus has taken the decision to launch the development and production of 5 new Belugas. 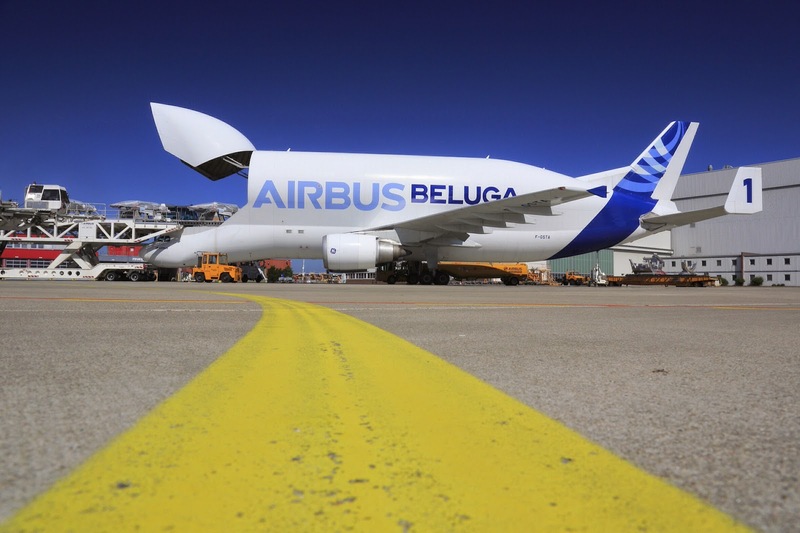 The new Beluga will be based on the A330 with a large re-use of existing components and equipment. The distinctive looking lowered cockpit, the cargo bay structure and the rear-end and tail will be amongst the items which will be newly developed. 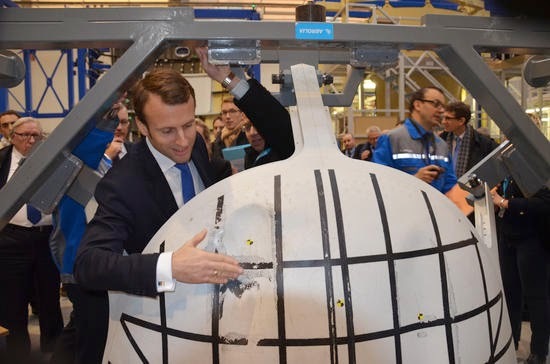 The first of the 5 new Belugas will enter in service in mid-2019. The existing Beluga fleet -5 cargo aircraft based on the A300- will operate in parallel, and will be progressively retired through to 2025. 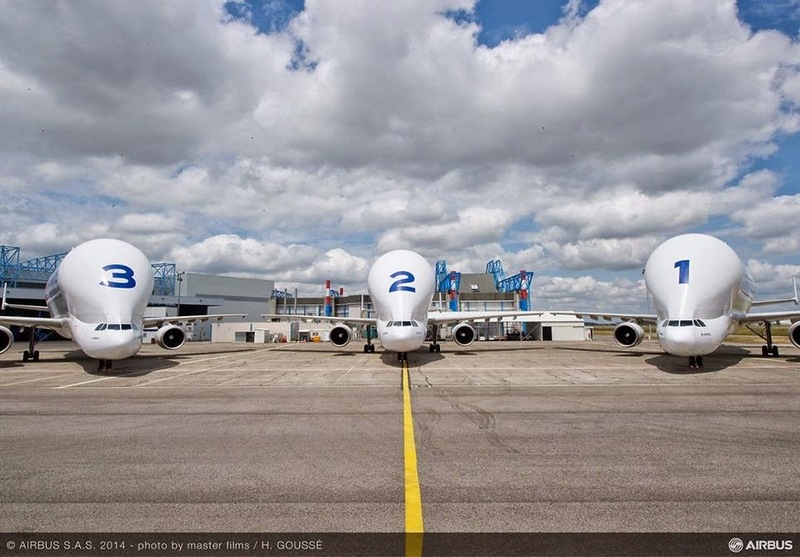 The current Beluga fleet of 5 aircraft has a limited capacity although the “Fly 10000” project aims at doubling the current Beluga capacity by 2017. And with the A350 ramp up and the flights that requires each aircraft, the new A330-Beluga fleet is needed to close this capacity gap. Once the development phase of the A350´s Trent XWB engine is finished, Rolls-Royce will cut thousands of engineers next year. Rolls-Royce is planning to cut 2.600 positions over the next 18 months, mainly within its aerospace division. The restructuring is intended to save $128 million per year, although it will result in an overcost until 2017. 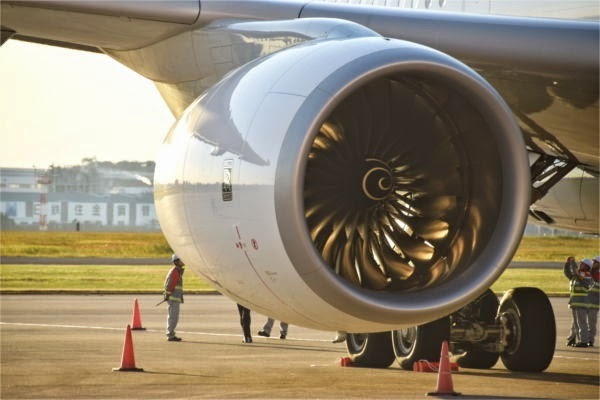 Although its aerospace division is among its stronger businesses, the manufacturer says its engineering requirement has lessened as a result of its ending primary development of the Trent 1000and Trent XWB engines, both of which have entered production. Rolls-Royce plan to “reduce management layers” and improve efficiency through investment in new facilities and technology. Rolls-Royce chief John Rishton says that the company will aim to achieve the cuts through voluntary measures “where possible”. But he also warns that the new measures will “not be the last. We will continue to pursue further cost improvements in all areas” he says. Based on the article “Restructuring Rolls-Royce cuts aerospace workforce” published in FlightGlobal. 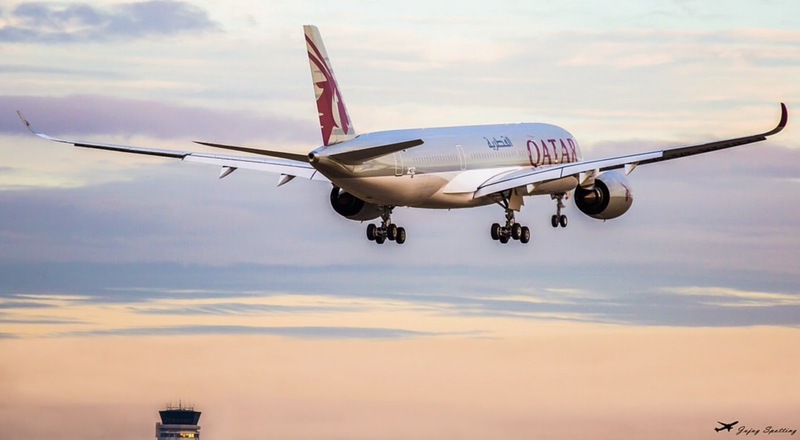 “Some additional surprises” by Qatar Airways CEO expected in the A350 hand-over ceremony. Qatar Airways took delivery of its first A380 in September, following a 3-month standoff with Airbus over the quality of cabin fittings. "It cost us nearly three months ... In revenue over $200 million," said Qatar Airways' CEO Akbar Al Baker. 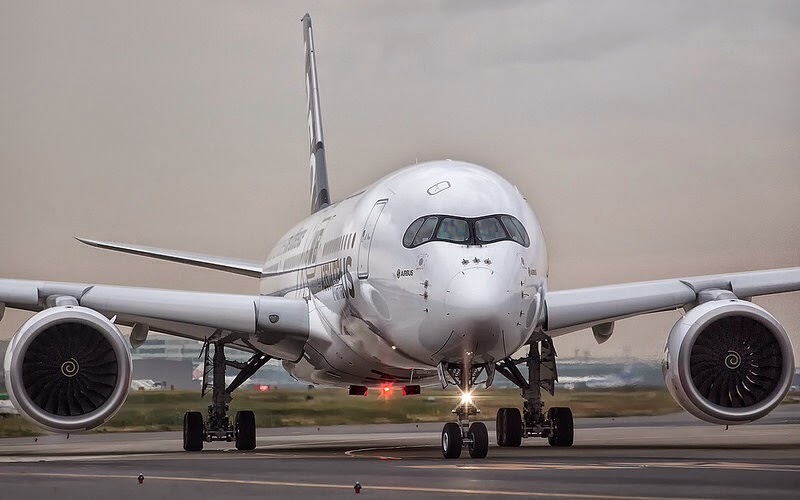 Al Baker expressed confidence that the mid-sized A350 would be delivered on time before the end of the year and hinted at a possible new plane order. 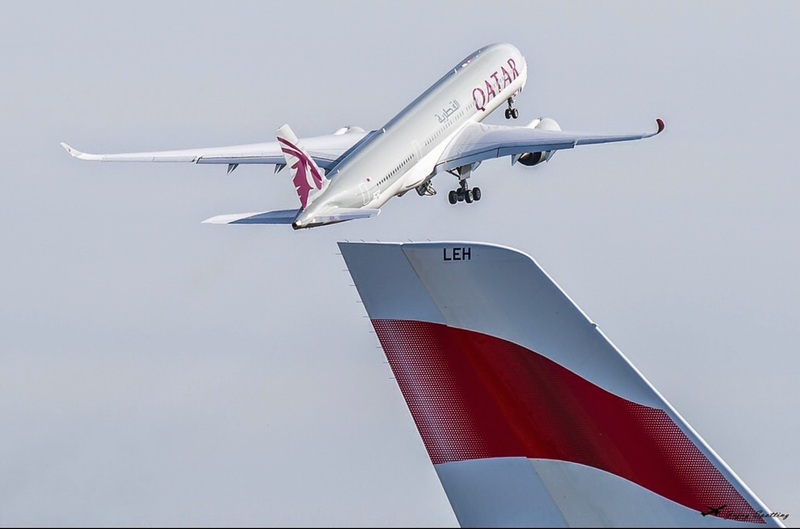 "Qatar Airways has been very proactive with Airbus on the A350 program. This is a very fine airplane. The aircraft will - God willing - be delivered to us before the end of the year on schedule and we may have some additional surprises for you which I will not discuss with you now." 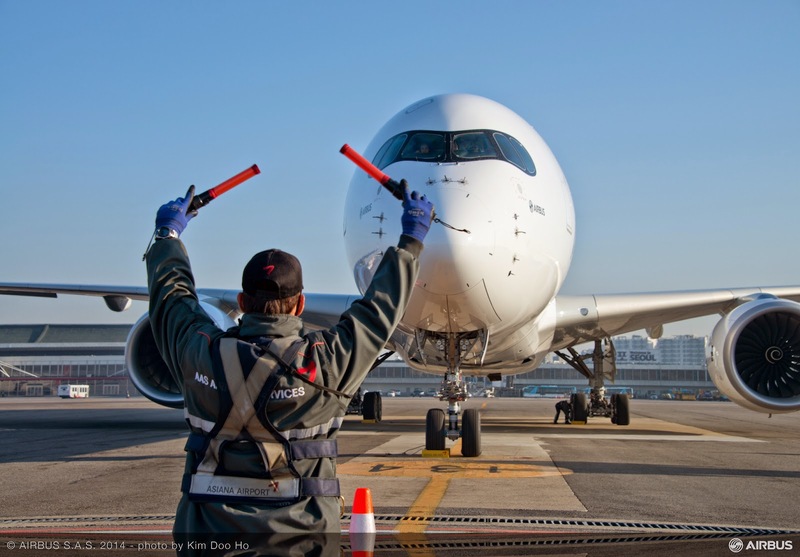 The A350 handover ceremony is scheduled for Friday 12/12 in Toulouse. Based on the article “Qatar Airways lost $200m because of A380 delays, says Al Baker” published in Reuters. 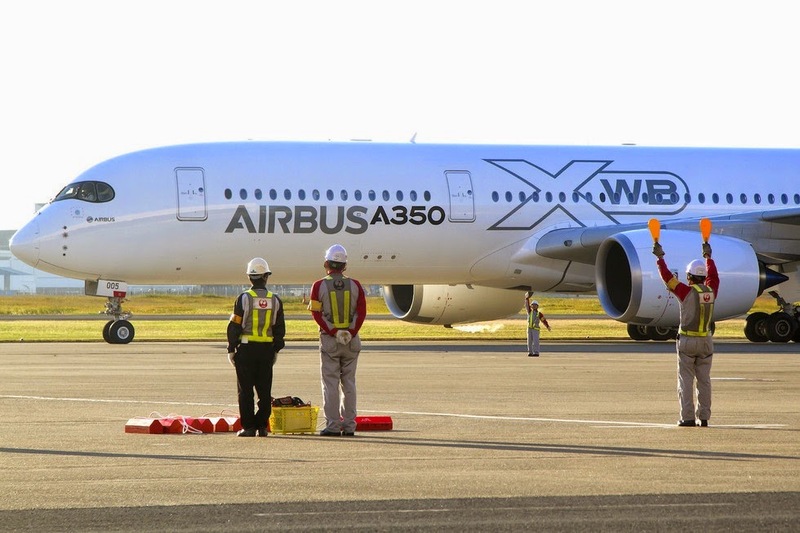 Airbus has won the competition for 50 wide-body airplanes and they will sell Delta 25 A350-900s and 25 A330-900s. 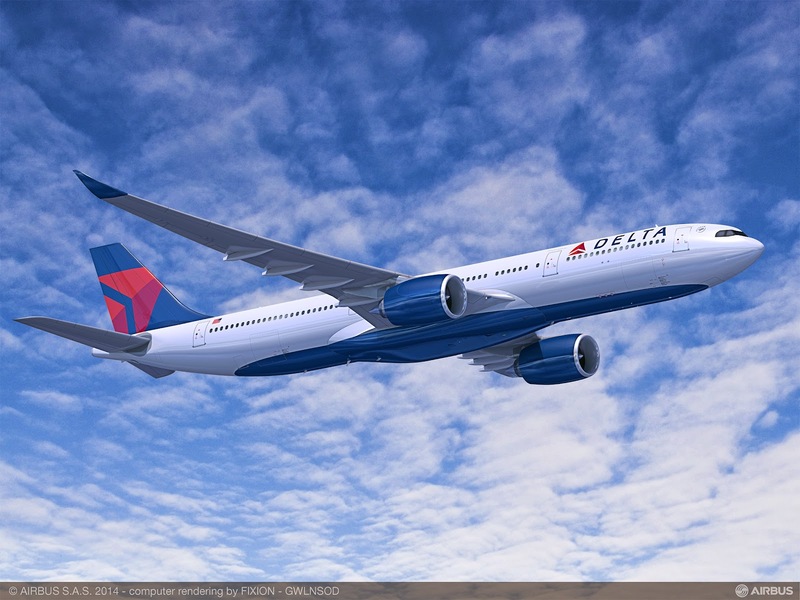 According to the information published as a global exclusive –Delta wanted to announce this at Investors’ Day on 11/December, the day before the A350 MSN6´s hand over by Qatar- Boeing hoped to sell Delta the 787-9 and also offered 5 new 777-200LRs as bridge lift until delivery slots for the 789 were available. For Airbus, winning Delta is a major coup because of the sheer size of the deal, Delta’s status -this is one of the Big 3 US carriers- and because this gives a good boost to the A330neo program and adds a prestigious name to the customer list. “When the most successful U.S. airline today – a company that has flown passengers around the world for more than 80 years, has 80-thousand employees and 165 million customers in a year – says ‘yes we want 50 more of your widebody planes’, you can’t debate the fact that it is a massive endorsement of your product line,” said John Leahy, Airbus’ Chief Operating Officer – Customers. As published by Leeham News, Delta wants the airplanes beginning in 2017 and Boeing couldn’t find early delivery slots for the 789. 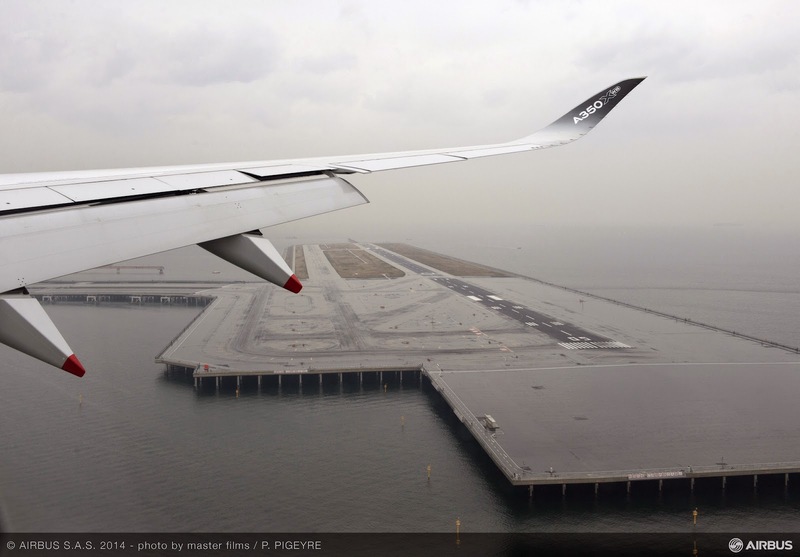 On the other hand Airbus was able to move the A350 skyline around enough to provide the airplane early. The A350-900 is intended for the Pacific and the A330-900 for the Atlantic. 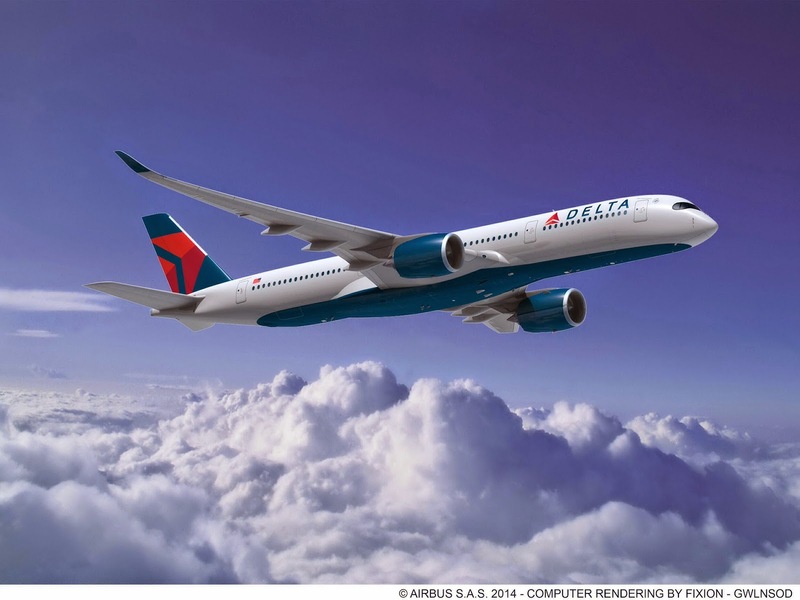 Based on the article “Airbus wins Delta wide-body order” published in Leeham News and Comment. 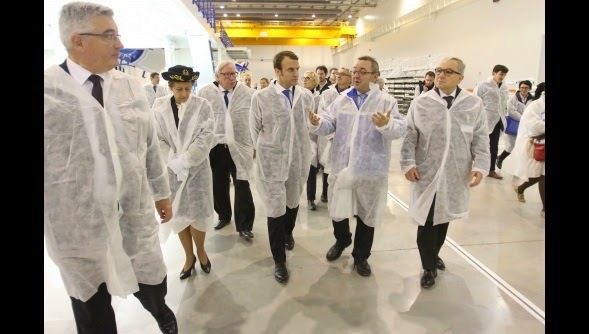 French Economy Minister visits A350 manufacturing line in Aerolia and says that Aerolia-Sogerma merger is a good decision. 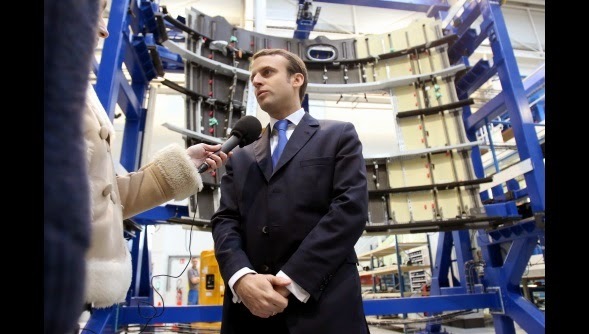 French Economy Minister Emmanuel Macron has said that the merger of Sogerma and Aerolia, 100% subsidiaries of Airbus Group was "a good decision". 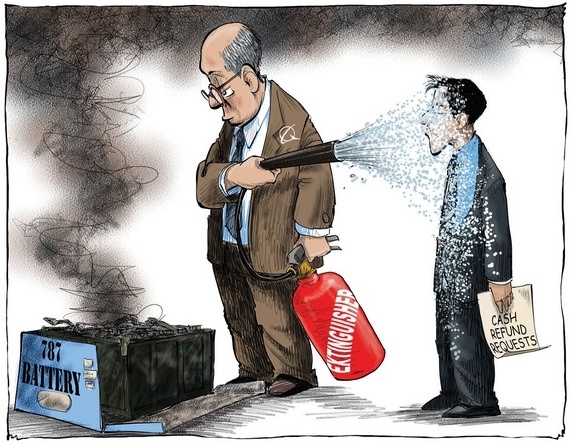 "This is really a good decision. 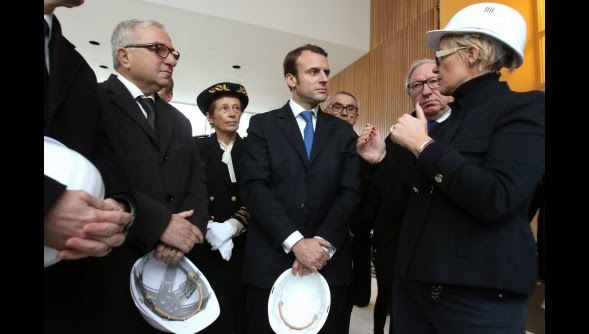 The social partners, whom I have met, are also very positive", said the Minister at the end of a visit to Aerolia-site, employing nearly 1,600 people. After visiting for an hour the 18,000 m2 site where parts for A350 front fuselage are manufactured –with automated fiber placement and tape laying “robots”- he explained: “Our country has not managed to full modernization in the 1980s, 90 and 2000 linked to the first automation. Many of our neighbors have overtaken us. The robots didn´t destroyed jobs and in Germany for example, companies have 5 times more robots and twice less unemployment". 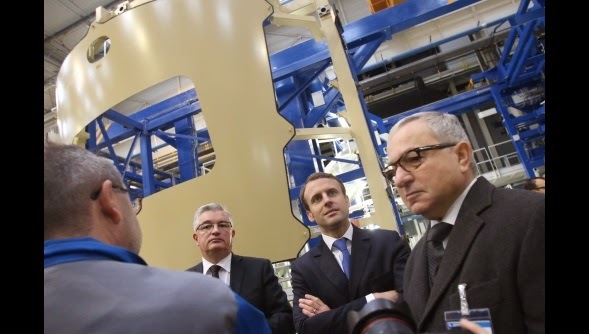 The president of Aerolia Cédric Gautier, who accompanied Mr. Macron during the visit, estimated that the merger "presented itself very well" and that it would be legally effective before the end of the year. As early as 2/January, we will start under a new entity more important, more robust and more able to invest in R&D and to seek markets, including outside Airbus”. The turnover of Aerolia, employing 3.500 employees worldwide, has reached 1.1 billion euros in 2013, with an annual production of more than 650 fuselages and more than 6 million elementary parts and panels. On the other side Sogerma, which is the specialist in business class seats, has about 2.000 employees worldwide and has 2 sites (Rochefort, Mérignac), as well as a design office in Toulouse. 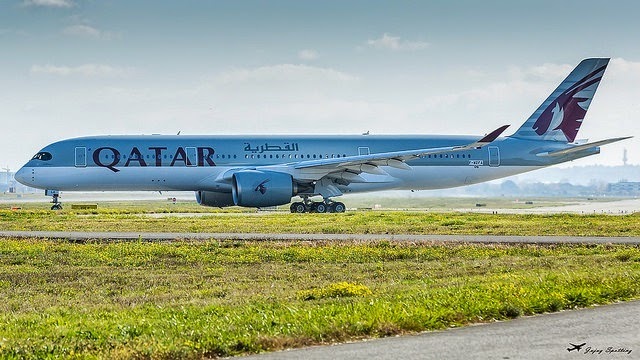 Qatar Airways will take delivery of its first Airbus A350 on schedule next month, said Akbar Al Baker, the airlines chief executive in Dubai today. The Doha-based airline recently rejected its first Airbus A380 over it said was concerns with the quality of the cabin fittings. Qatar Airways took delivery of the A380 in September, 3-months after schedule. Al Baker told reporters “everything is perfect” with the A350 and that the airline is likely to receive the widebody between 12-15/December. Al Baker spoke to reporters following a closed-door meeting with airline executives as part of the 47th Arab Air Carriers Organisation Annual General Meet that is being held in Dubai this week. Based on the article “Qatar Airways to receive A350 on time: CEO” published in Gulf News. 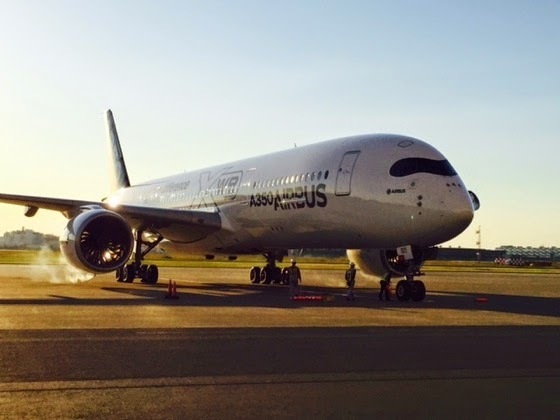 A350 starts an 11-day Asian Demo-Tour. 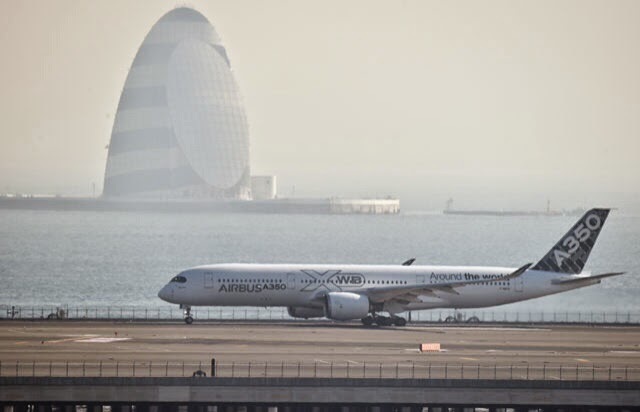 The MSN5 flight prototype of the Airbus A350-900 has started today from Toulouse its very first demo tour taking it on an 11-day trip around Asia. This Asian Demo Tour comes just after the EASA and FAA type certification milestones. After visiting Hong Kong, Singapore and Australia in August during the route proving certification exercise, the A350-900 will now visit more airports and customers in Asia Pacific. The region is one of the fastest growing markets for air transport and represents 1/3 of the 750 A350 XWB orders won to date. The journey will take the aircraft to Seoul, Tokyo, Hanoi, Bangkok and Kuala Lumpur during a period of 11 days, from 17 to 28/November. 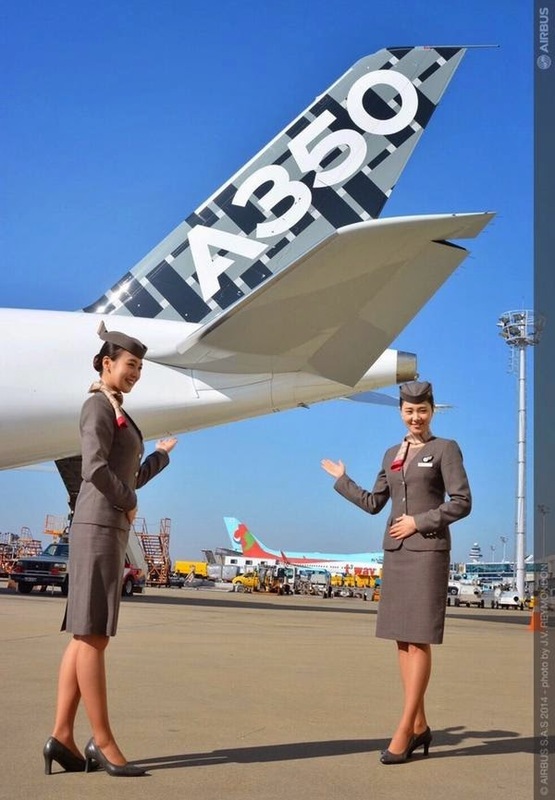 These A350 flights will be operated by Airbus flight crews. The MSN5 is one of two A350-900 prototypes with a fully functional cabin (42 business class and 223 economy class seats). This demonstration exercise comes as we near the first airline delivery, to Qatar Airways, by the end of the year. A350 lithium-ion batteries comparing with 787 system: double number of batteries but with more conservative power output and energy levels. 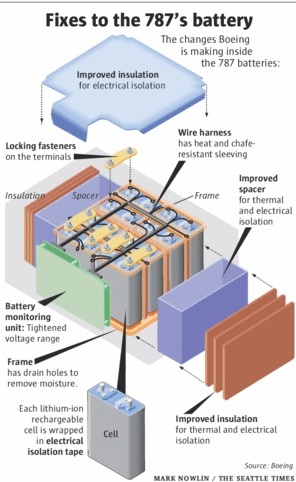 Airbus and supplier Saft have confirmed several key details of the A350-900’s rechargeable lithium-ion batteries which are soon to become the production standard. 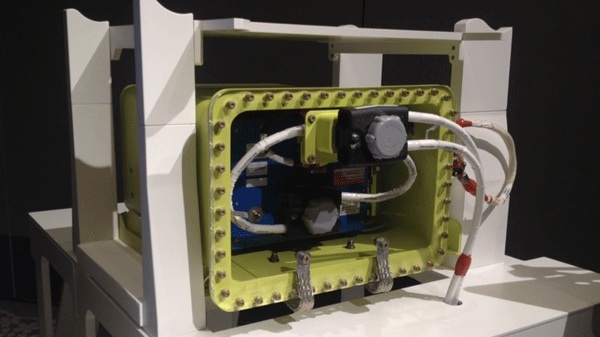 Though incomplete, the details show Airbus and Saft designed the batteries with more conservative power output and energy levels than found on the 787 batteries that caused a 4-month grounding in 2013. 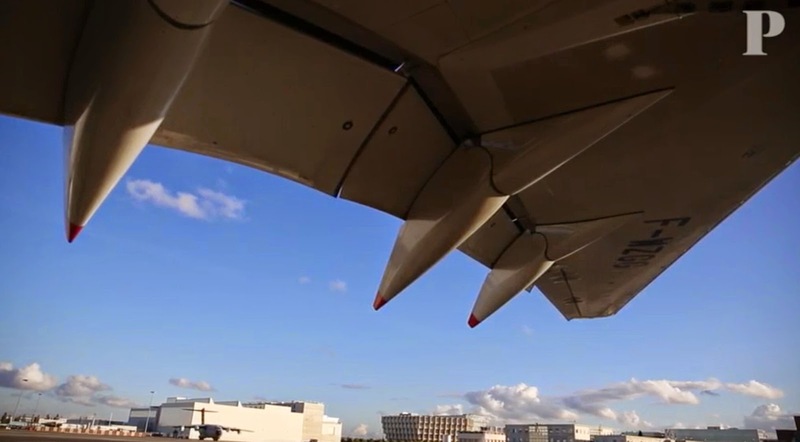 The grounding was lifted in May 2013 only after Boeing revised the installation design, although the architecture of the GS Yuasa-designed system remained the same. 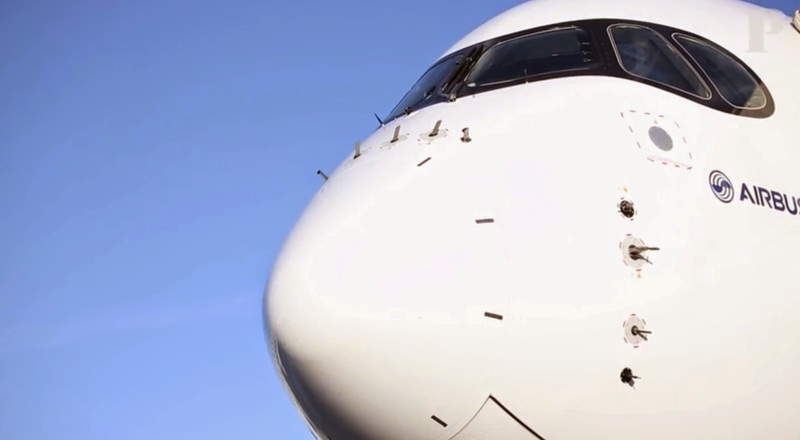 Though much heavier than the Boeing design, the Airbus approach is more cautious. Instead of the 787’s 2 batteries, Airbus will install 4 lithium-ion batteries in each A350-900. 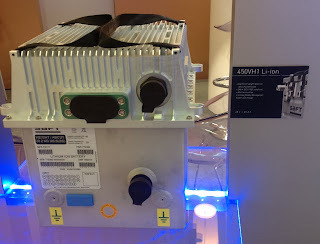 Each of the Saft batteries consists of 14 cells storing a combined 45Ah of energy and running at 3.6V. Yuasa batteries onboard the 787 consists of 8 cells storing a combined 72Ah of energy and running at 3.7V. One of the 4 batteries is dedicated to starting the APU, and the 3 others will provide power to other components in the A350 electrical system, Airbus said. 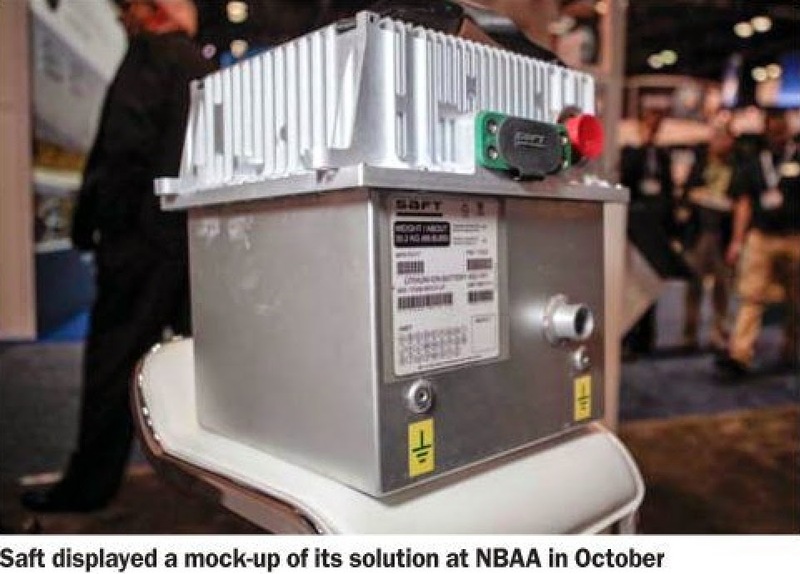 Details of the A350’s lithium-ion batteries have been a closely held secret since Saft was identified as the supplier 6 years ago. 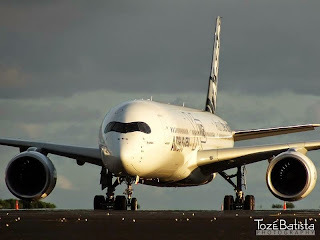 As the 787 entered the battery-induced grounding, Airbus said the A350 would first be certificated with more traditional nickel-cadmium batteries that would be replaced by the lithium-ion batteries by early next year, around MSN21 for Qatar Airways. 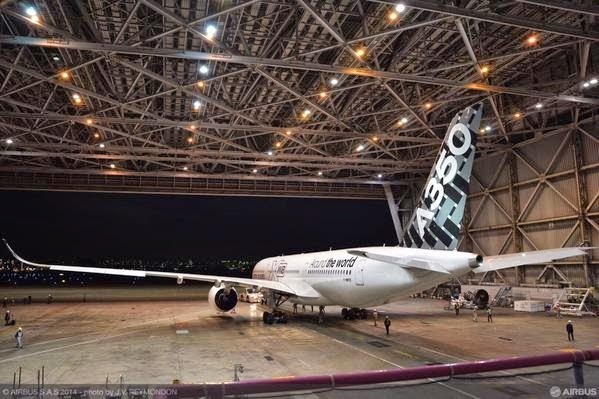 The A350 installation includes an “overboard venting system”. That system is now being reviewed by the European Aviation Safety Agency and the US Federal Aviation Administration. “We are progressing well with EASA and FAA – also considering recommendations from the US National Transportation Safety Board – to certify the li-ion main batteries in order to offer them to our customers at a later stage,” Airbus said. 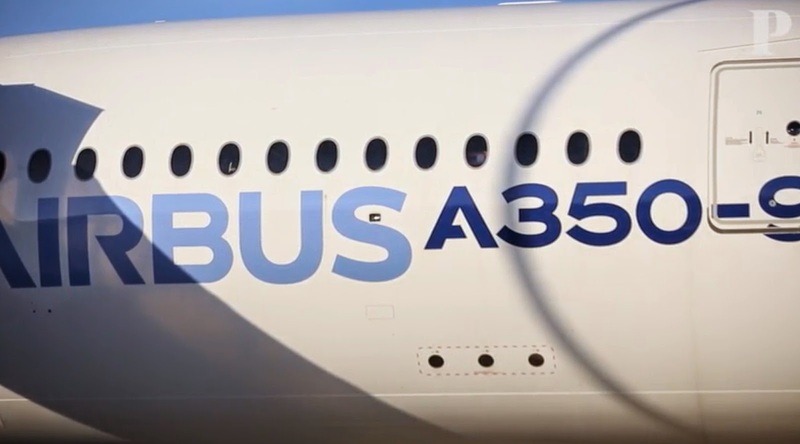 Based on the article “Airbus cautious on lithium battery design for A350” published in Flight Global. 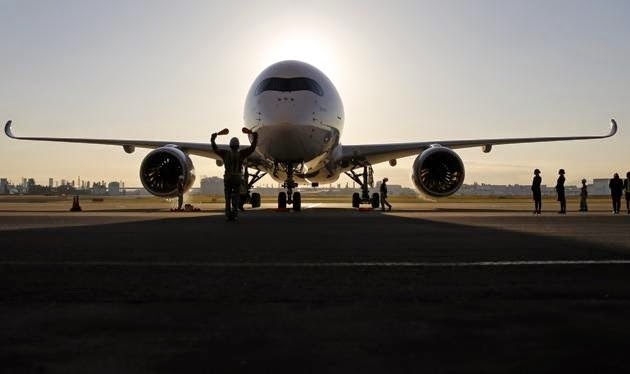 A350 in 2014: -62 net orders.